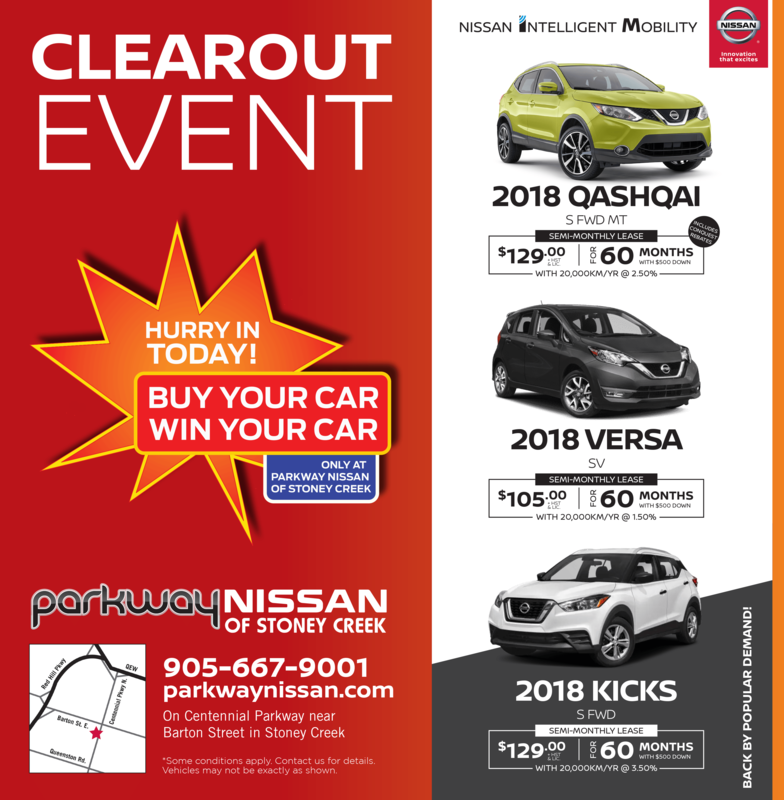 Parkway Nissan | Buy your Car, Win your Car! What’s more exciting than buying a car? Winning your car at Parkway Nissan of Stoney Creek! From now until December 1st, 2018 you have the chance to win your purchase when you buy any new or used car, truck, or SUV. *Some conditions apply. Offer valid on all finance, lease or cash purchases from September 15, 2018 to December 1, 2018. Offer includes purchase price of vehicle only. Excludes tax, negative equity, accessories, warranty and protection service. Click here for full contest details.